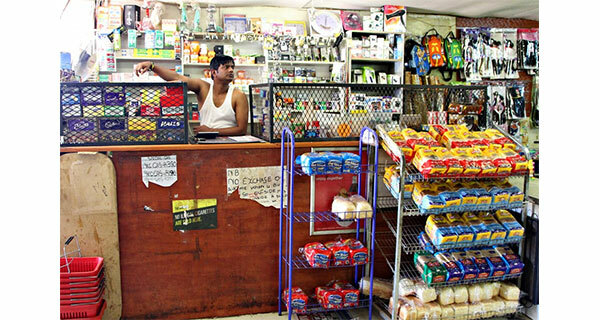 Owners of small shops in South Africa – in most cases foreigners (as above) – have been accused of stocking counterfeit food and food that’s past its sell-by date. The Conversation Africa investigates this issue that has been caught up in xenophobic violence, with shop owners targeted by South Africans. There is very little hard data about what’s referred to as “fake food” in both the formal and informal sectors. This means the issue is politically charged and dominated by opinions, not evidence. The Conversation Africa’s Ina Skosana asked UCT researchers, Jane Battersby-Lennard and Gareth Haysom, to unpack this issue. Counterfeit foods that pose more of a problem include simulations – goods made to replicate branded items. They often use cheaper ingredients and can have health risks. There are also troubling, yet seemingly spurious allegations, that food has been contaminated with non-food items like plastic. The Minister of Health, Aaron Motsoaledi, has stated that the department hasn’t received any evidence of this, or notifications of people becoming ill as a result. There is an important difference between how extensive counterfeit food’s presence is and how big a problem is it. Who is it a problem for? If we are thinking about problems for health, it is important to note that the largest food borne disease crisis South Africa has had – listeriosis – was traced back to non-counterfeit food from a large company. In South Africa perishable foods have to have an expiration date after which they can’t be sold or donated. Non-perishables – foods with a stable shelf life – have best before dates. These are for quality, not safety, and foods can legally be sold after these dates. Many people buy these products as they get them at discounted rates. A lot. The “blame” for counterfeit food currently seems to be squarely at the feet of “foreigners” – both vendors and the alleged “cartels” supplying them. These allegations have serious consequences. Government has initiated “blitzes” on foreign-owned shops, seized goods and shut down businesses. Some communities have turned to looting shops and inciting xenophobic violence. Secondly, regulations are poorly enforced at the local level, as evidenced by the failure of environmental health in the listeria outbreak. On the one hand technological innovations are making it cheaper to produce counterfeit foods or replica labels. On the other hand, there’s consumer complicity: people want cheap goods. There is also a need to understand why counterfeit goods appear on the market and to address the root causes. These may include a commitment to greater transparency at border control; and redoubling commitment to training environmental health officers in municipalities so that they can actually conduct food testing from both formal and informal retailers and producers. It’s also important to address barriers to entry for smaller producers who want to enter the market legally but are excluded. And, ultimately, South Africa must address food insecurity and poverty. These are the main drivers of consumer demand for cheap foods. Source: The Conversation, in conversation with Jane Battersby, Senior Researcher in Urban Food Security and Food Systems, University of Cape Town, and Gareth Haysom, researcher at the African Centre for Cities, University of Cape Town.